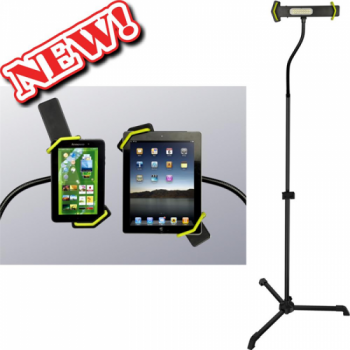 With the Universal Adjustable iPad eBook Tablet Floor Stand with LED Lamp, you can recline in your favorite chair, or lie in bed while you watch videos, read, or surf the web. Adds a higher level of entertainment value to your iPad or any tablet PC. 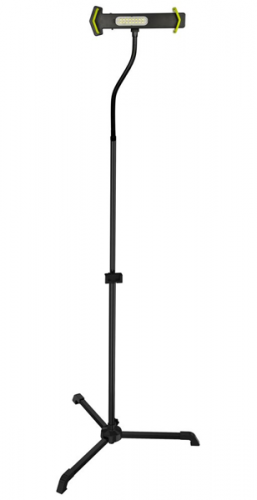 It is also equipped with LED lights which works great as a floor lamp. 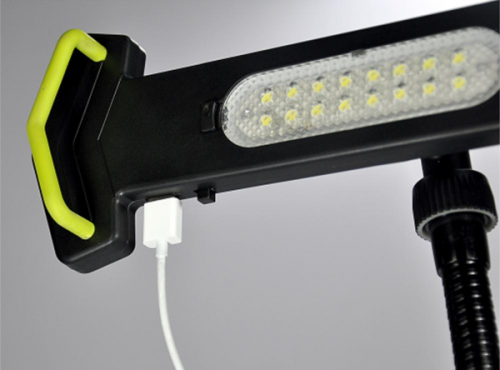 Brightness LED lamp with dimmer, with a 5V DC power of your iPad / tablet PC battery charger. 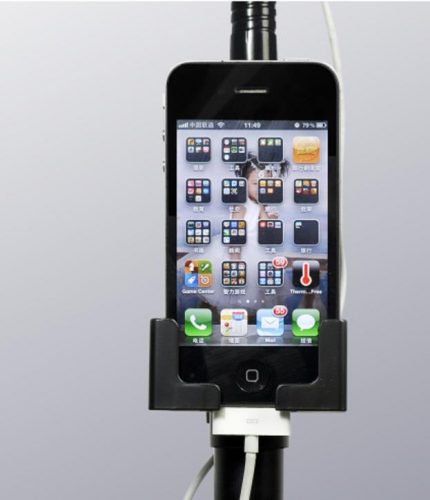 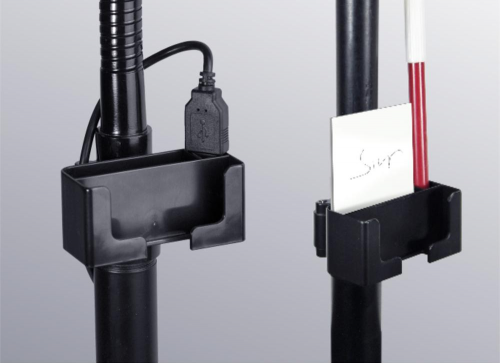 Easily charge your iPad/ tablet PC during using the device.